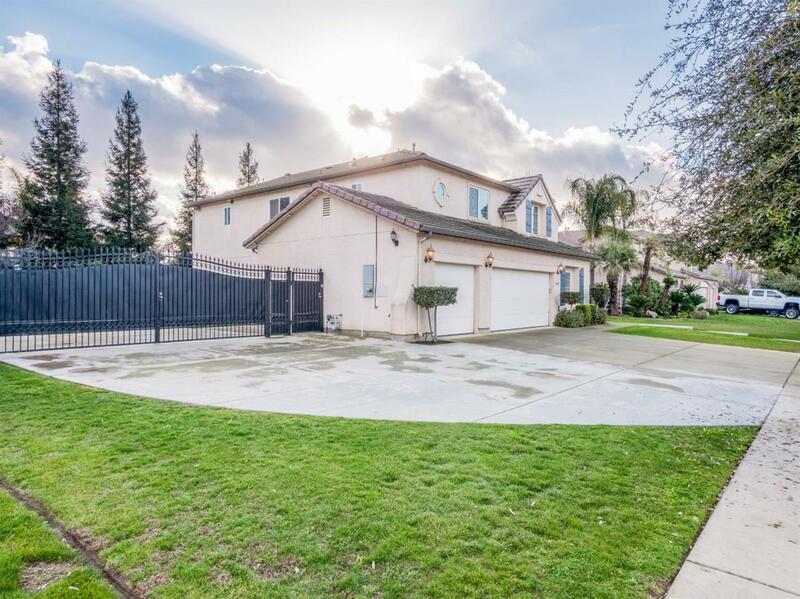 Unique opportunity --- Spacious 5bed 3bath home with LOFT sitting on over 1/4 ACRE with park-like setting. Site includes grassy area lined with tall privacy trees, a playground area, basketball area, multi-use net/recreation area, integrated stucco patio with ceiling fans, & RV access with additional shade seating intended for large gatherings. Home has large 3-car garage. Interior features: freshly shampooed carpets, new interior paint, kitchen with corian counter-tops, a seamless corian sink, full-height tile back splash, satin nickel hardware on cabinets, kitchen island with bar-stool seating, large walk-in pantry, mini desk area opening to family room with fireplace. Downstairs: isolated bedroom next to full bathroom, with formal living & dining. Upstairs is a large loft, 4 additional bedrooms, bathroom, & utility room. Master suite offers tons of natural light, 2 walk-in closets, a large soaking tub, vanity area, & dual sinks. Search YouTube for video view. School Information Buyer To Verify.